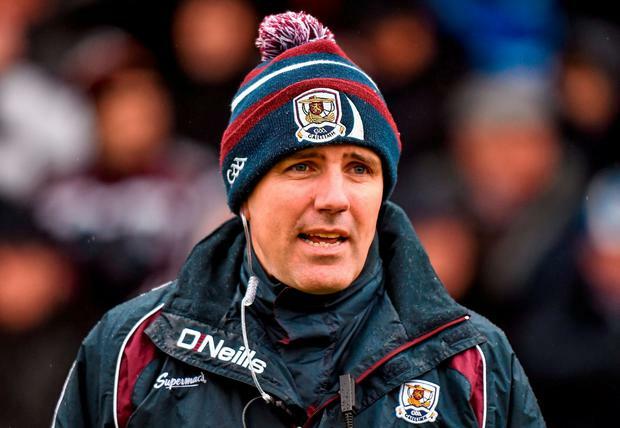 Kevin Walsh has been through enough championship matches as a player and a manager against Mayo to know that victory is the only thing that matters in the end. The manner in which they confined Mayo to the qualifiers for the third year in a row will only start to matter when they begin plotting for the Connacht semi-final against Sligo in three weeks. Walsh recognised the pace of the game wasn't at a level that either side would be happy with, but it rarely is when these two collide. "It was tough going. We'll have to see it again on Tuesday night. It looked pedestrian at times, I suppose, with the way the teams were set up," he said. "At other times it looked explosive so it was one of those types of games. It was about minimising the mistakes and being able to recover from them when they're made. The shooting boots wouldn't have been on as you'd like, but overall it was a tough game for both sides." Diarmuid O'Connor's red card after 29 minutes was a key moment, but Walsh said making use of the extra man is not always that straightforward. "I suppose no matter what strategy you have, other teams will have a strategy as well. "It probably changed the shape of the game and put Mayo more defensive than they'd have liked and then it also gave the opportunity for big breaks, so sometimes it can help. "Look, there's always relief when you achieve something that you know you're going to have to work very hard for and at the same time that's the same for every game, so it's nothing that's massively different, we just have to learn ourselves." 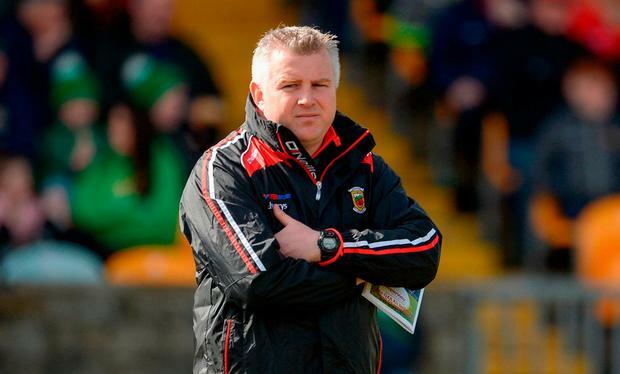 Mayo manager Stephen Rochford, who got the job after guiding Galway champions Corofin to the All-Ireland club title, has not managed a win over the Tribesmen in any competition since taking charge. He now faces the difficult task of lifting the All-Ireland finalists of the last two years for another long journey through the qualifiers. "Extremely disappointed. We put a lot into that game. We expected to win with the effort that we put in and the focus and attitude of the group over the last couple of weeks," he said. "But we just weren't good enough on the day. Put it down to six minutes of injury-time and they score a goal. Put it down to a couple of good scoring opportunities we didn't execute. The sending off. In such a tight margin of a game you can look for multiple reasons, but they will only be excuses this evening. We didn't win and we now prepare for the month of June." Rochford said he had not looked closely at the incident which saw referee Conor Lane send off Diarmuid O'Connor for elbowing Paul Conroy on 29 minutes. "I haven't seen it. I thought Diarmuid had got advantage from the first tackle and was trying to ride and break the next tackle. But obviously Conor (Lane) was closer to it. "He is absolutely gutted in there. It is such a big game that losing a bit of discipline, if it is that, we would all be disappointed with that." The return from injury of Lee Keegan will be a boost going into the qualifiers, but midfielder Tom Parsons will be out for some time, while O'Connor faces a suspension as Mayo gear up for what is a familiar, but no less daunting, trip through the back-door system.